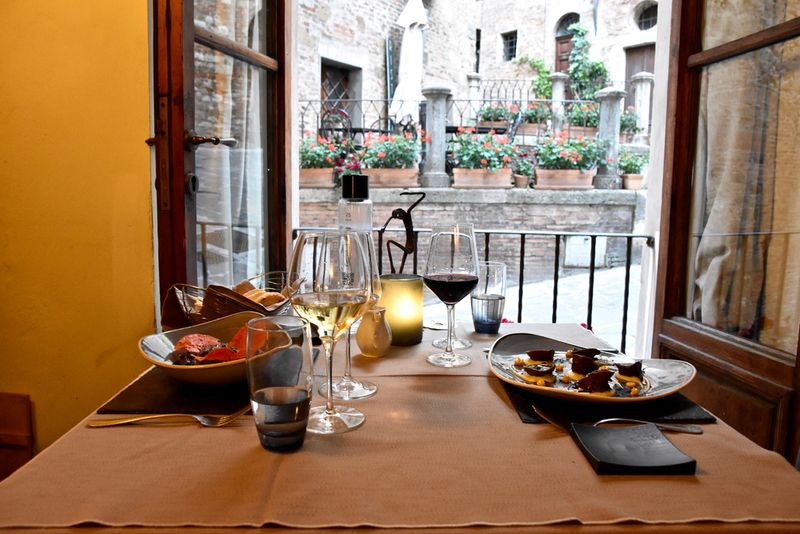 Locals will tell you that Le Logge del Vignola is the best restaurant in town - and it is easy to understand why. 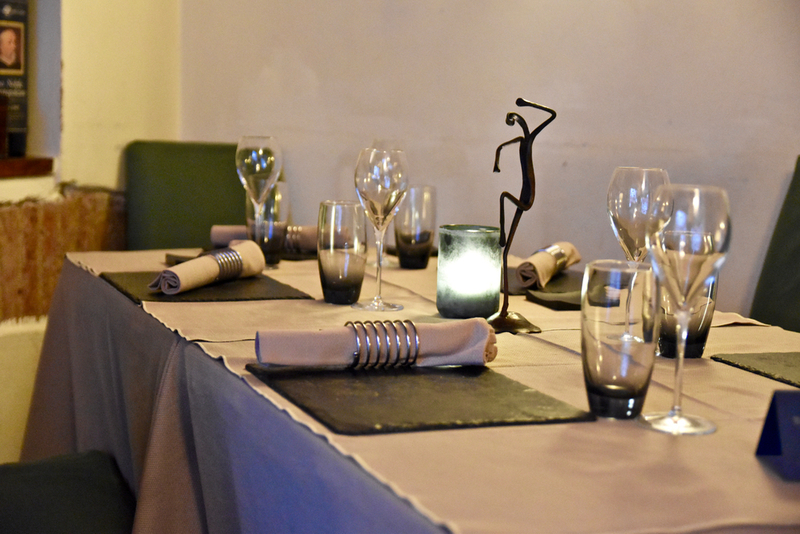 Located in the heart of Montepulciano’s old town centre the restaurant boasts exquisite Tuscan cuisine with its own distinctive flair accompanied by excellent, local wines. The restaurant has a calming ambience and features two elegant, comfortable rooms lit dimly with the aid of romantic candles atop each table. Seasonal produce guides the menu by Executive Chef Federico La Rocca which prominently features local ingredients and is prepared with both tradition and imagination. We left both the menu and wine selection in the capable hands of Owner and Sommelier Massimo Stella - a choice we did not come to regret. The cellar at Le Logge is stocked with a carefully curated selection of wines from Tuscany and beyond, which makes pairing with food a delightful adventure. To start, the crispy egg on cheese fondue, summer truffle and black garlic was mind-blowingly good. 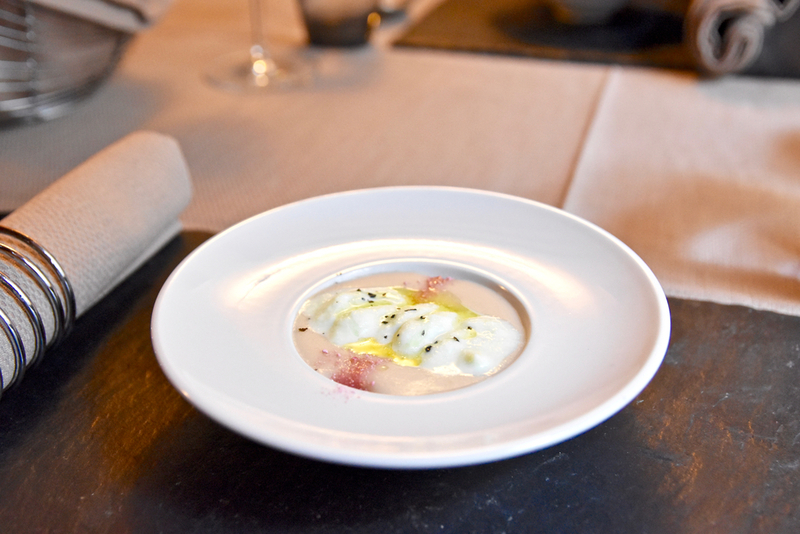 This starter is absolutely decadent with the oozy egg bringing all the intense flavours of truffle, garlic and cheese together in perfect harmony. We adored the cocoa ravioli filled with hearty melt in your mouth beef and a thick syrupy reduction (really, it's liquid gold). Combined with spiced potato purée, a variety of carrots in different textures and finished with Vin Santo, this dish was divine. For mains, do not go past the pigeon breast. 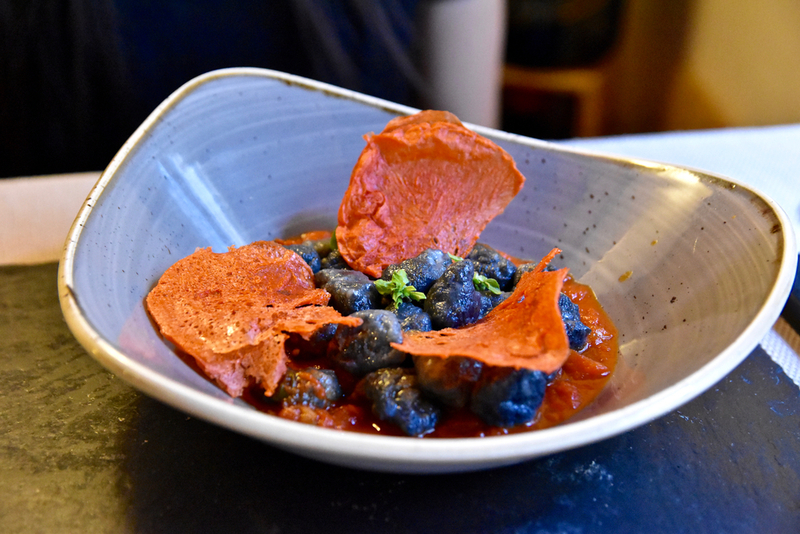 The pigeon was exceedingly silky and did not have the fibrous texture often associated with poorly prepared pigeon. 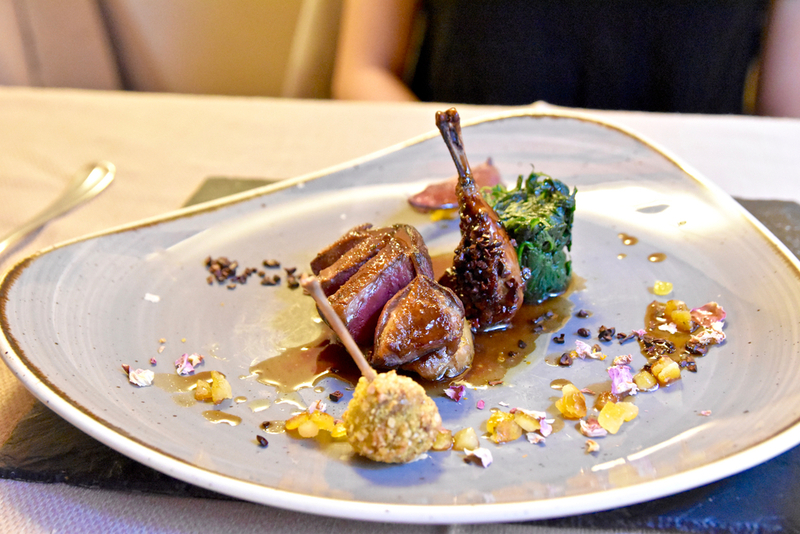 It was perfectly seasoned with the natural gaminess of the pigeon showcased along with the luxurious and generous foie gras and the candied orange adding a desirable sweetness and acid to cut the dish. If you like your seafood, the cod served with a black olive crust on creamed cherry tomatoes and eggplants is wonderful. A dish of complex, balanced flavours, the cod was perfectly cooked and bursting with natural sweetness, further enhanced by the subtle sweetness of creamed cherry tomatoes. To finish, the theatrical tiramisu with grappa flambé aptly concluded what was a majestic dinner in a stunning town. Dinner at Le Logge is an elegantly refined affair. Subtle creativity paired with beautiful Tuscan produce hits all the right notes to produce a truly gourmet and unforgettable experience.